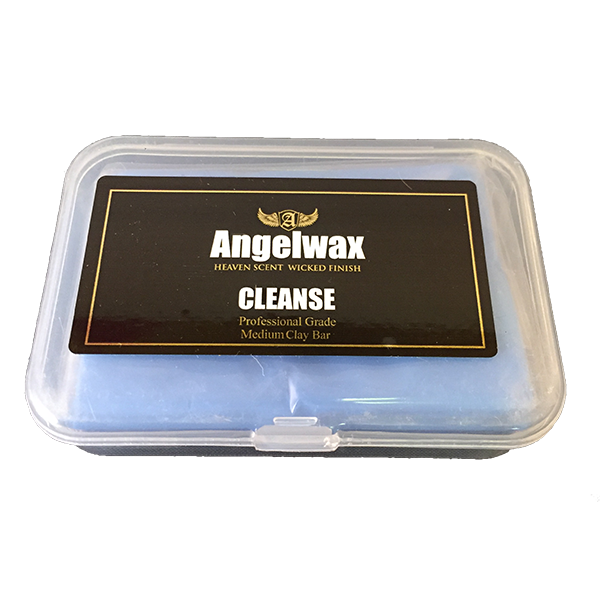 Angelwax CLEANSE is the perfect solution for the removal of fallout and paint contamination from the surface of your vehicle. Your vehicle's paint is exposed to many different types of pollution on a daily basis and harmful contaminants in the atmosphere can cause paint damage and in some cases corrosion if left untreated. Angelwax CLEANSE gently removes these harmful particles safely, without the need for abrasive compounds and provides the perfect surface for the next stage of the detailing process. Directions: Thoroughly wash and dry the vehicle before using Angelwax CLEANSE CLAY BAR as any dirt left on the surface of the vehicle may cause damage to the paintwork. Working on one panel at a time, lightly mist the surface of the panel with Angelwax ÜBER-LUBE clay bar lubricant and then glide the clay bar across the lubricated area until the finish is smooth and the contaminants are removed. You will begin to feel the contaminants being lifted from the paint surface. Once the panel has been treated, buff the panel with a clean, dry microfibre cloth.